Over the past few years, hockey's popularity has surged in the states — only not in the footwear game so much, since we still haven't seen anyone rock a pair of signature skates in the streets. Enter LRJ23. 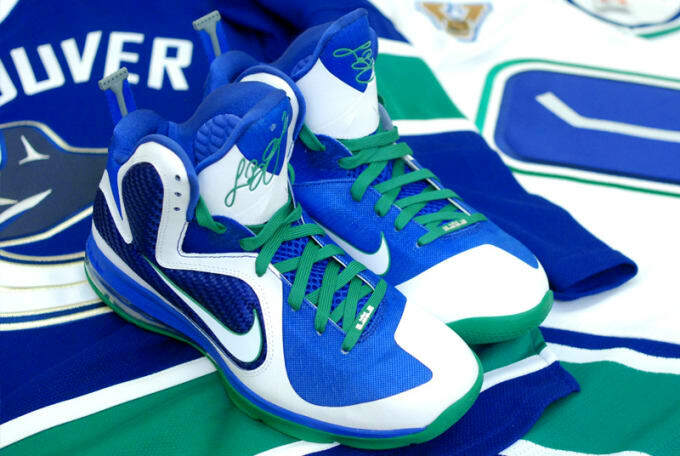 The avid Canucks fan decided to show his loyalty to the team with a pair of his favorite basketball digs, making these a LeBron 9 that would likely sell out on release day (and give new meaning to the term "icy").